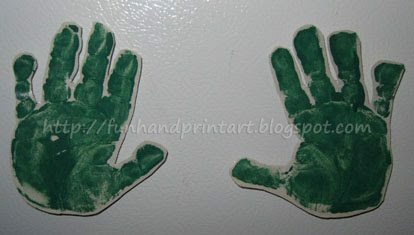 Aren’t these Handprint Magnets fun? 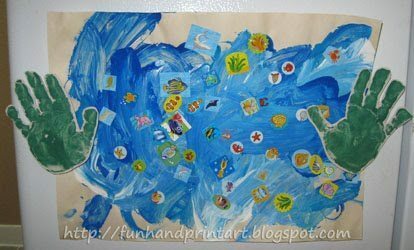 My son had some of those cheap, cardboard magnets which he ripped apart. Rather than throw the wrecked ones away, I decided to make my own magnets with them. I had green handprints leftover from our color green crafts and decided those would be perfect for this project. 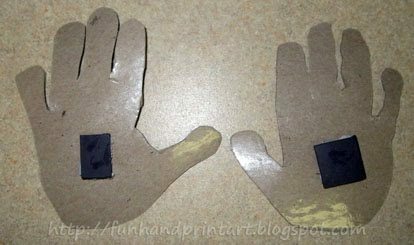 I glued them onto a thin piece of cardboard to make them sturdier and then placed clear contact paper on both sides (or you could use a laminater if you have one). Then I cut around each handprint and hot glued the magnet piece on the back. 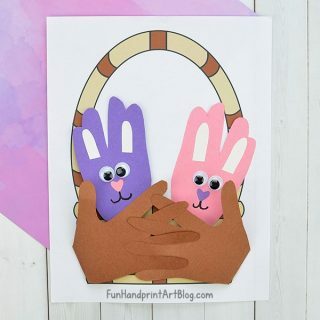 Now his little hands can hold up his artwork….. so cute! What a great idea and so simple!! 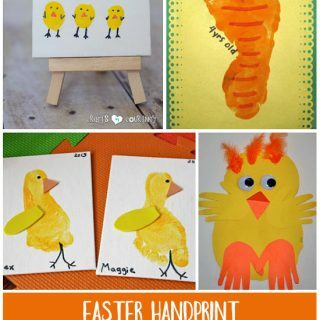 We will be making these after nap time today. Thanks for sharing.